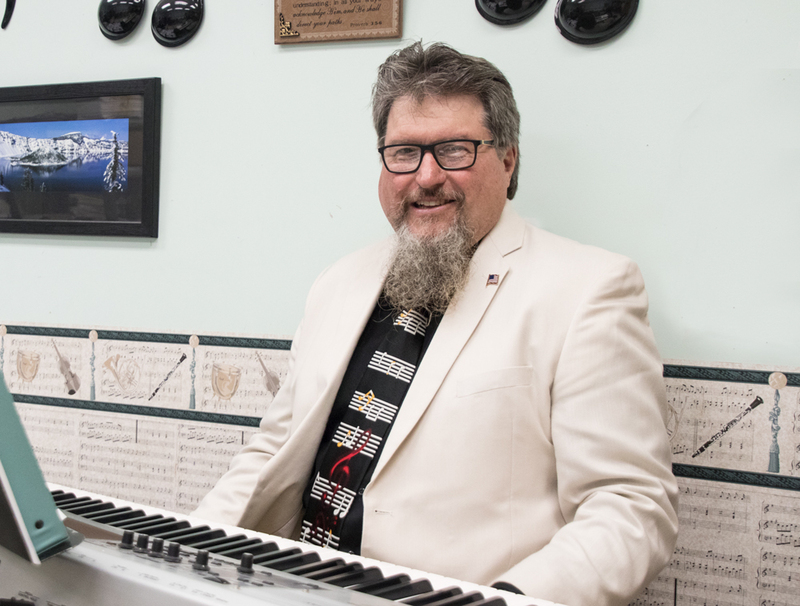 began in 1981.John M. Gorse is the worship music leader of First Baptist Church, directing the choir and congregation in worship while playing a keyboard. He became the church pianist at age 13, in 1972, and served in that capacity for 20 years. In 1992, he became the Church music director. He is an accomplished musician and has arranged several hymn medleys for the piano and keyboard. The adult choir has performed many seasonal cantatas, and has performed at several assisted-living homes in the St. Louis area. In 2004, John began working with the children’s choir. More recently, he has expanded the worship music to include several musical instruments and a Praise Team in a blended worship style. John’s son, Justin, is a CBC graduate and in college. John’s parents are active members of FBC, where his father is also a deacon. His hobbies and interests include watching and playing volleyball and softball with his son, watching the Cardinals, listening to music, and collecting baseball cards. He has an Associates Degree from Meramec Community College, and owns a landscaping and lawncare business that he began in 1981.